Free PM software training. 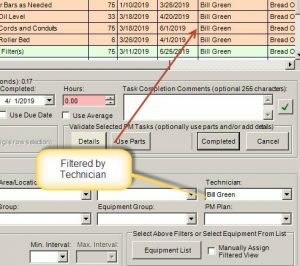 Learn to filter, sort and print preventive maintenance task lists. 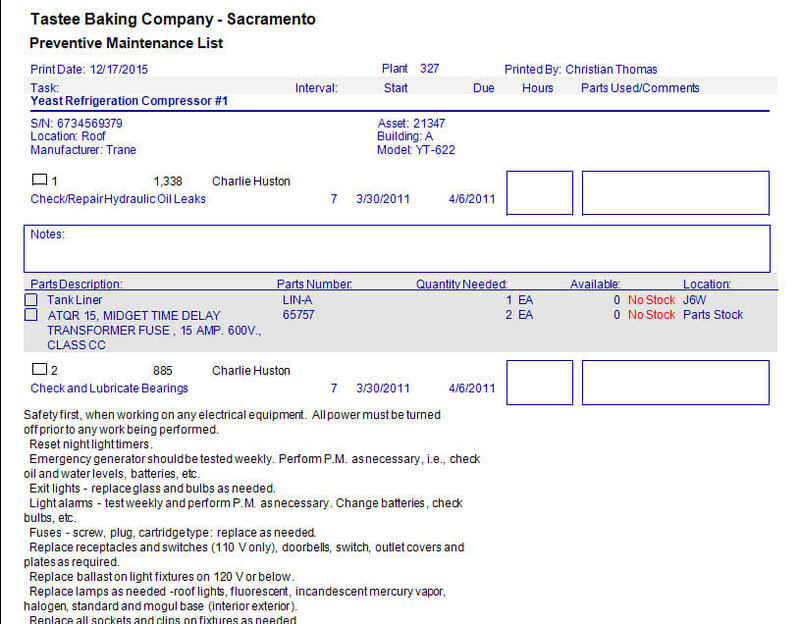 Preventative maintenance is a large part of any equipment maintenance management operation. As such, the ability to quickly identify and issue filtered PM task lists is important. 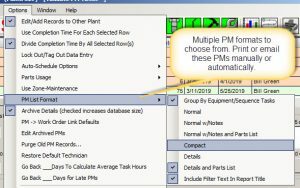 This free PM software training post instructs on filtering sorting and printing PMs so that you can quickly obtain to exact set of PMs needed for issuance or for closing. Scroll to the bottom of the screen to watch an instructional video. 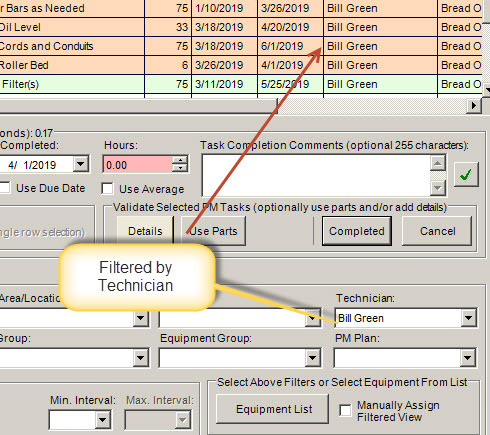 Filtering means limiting the displayed PMs to a set of tasks specific to the technician, work area, date due, date issued and so on. The lower portion of the PM screen is strictly used for filtering this needed data. 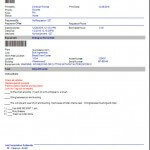 Once a filtered set of PMs is obtained these may be printed easily by either selecting the PMs from the data grid or by using the menu system at the top of the page. To sort PMs left click the column header in the data grid for the column you want to sort. Clicking the column header one time sorts that column in ascending order (by alphanumeric, numeric or date). Conversely, left-clicking the column a second time causes the sort order to flip to descending sort order. Finally, if you would like to save the sort as you personalized default sort order then choose the menu items as shown below. Free PM software training would not be complete without a module on how to print (or email) PMs. 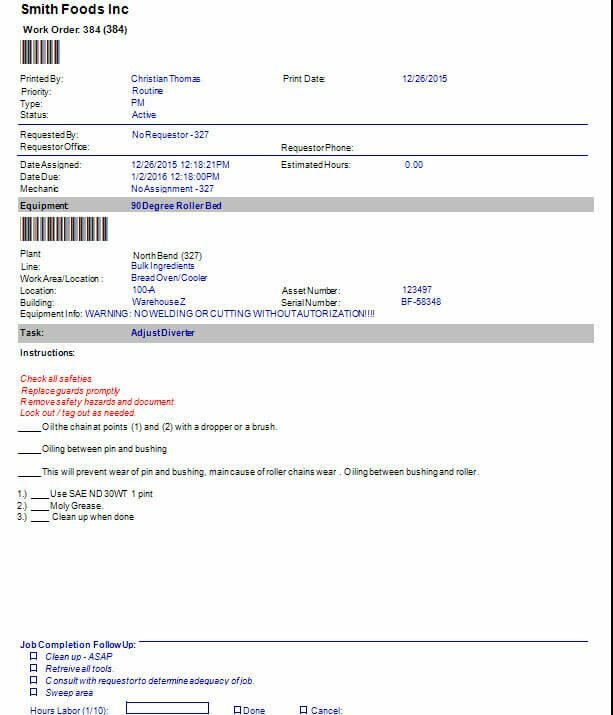 This training post does not consider the powerful automatic print and email scheduler that manages automatic issuance of PMs. This topic is covered in a future free PM training module. With this in mind, printing PMs manually fro the PM screen is done by selecting the print option from the File>>Print>>Assign PM Lists menus at the top of the screen. 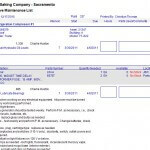 There are several other ways to print and report CMMS data that are common to the entire CMMS software package. A work order in MaintSmart is a unit of work of any type. This could be a preventive maintenance work order, a project, a repair work order or any other unit of work. In the case where the work is triggered by something other than a count of days (i.e. 1 day, 7 days, 30 days, etc.) then the full work order screen is appropriate. The full work order screen also provides for file attachments and has all the options you could ever imagine. A PM task list (as defined by MaintSmart) is a list of separate tasks. These tasks are calendar-based (i.e. 7 days, 30 days and so on). The benefit of using this system over the work order system for PMs (most software users use both systems) is that the tasks are very simple to close. best of all when a PM is closed it regenerates itself for the next job instance automatically. Hint: the work order system can also do this (call for free instruction on how this is accomplished). I Want a Free Demo of the Software! Closing PMs is the topic of the next module in our free video training series. 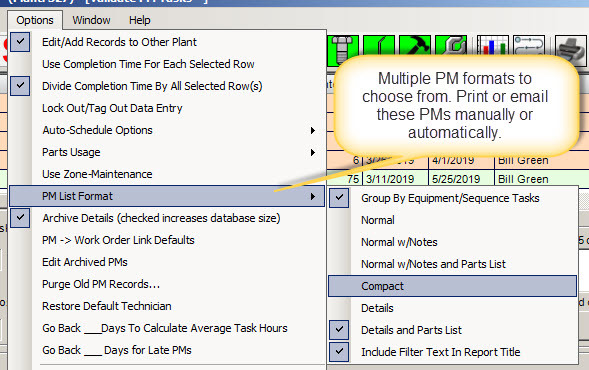 Learn how to close one, a few or many preventive maintenance tasks at the same time while still accurately accounting for labor hours and spares used for these PMs.